Andrei Sergeevich Konchalovsky was born in Moscow on 20 August 1937 into the family of well-known authors Sergey Mikhalkov (1913-2009) and Natalia Konchalovskaya (1903-1988). A renowned theatre and film director as well as a screenwriter, he was named People’s Artist of Russia in 1980; awarded the Order of 4th Degree for Services to the Homeland in 1997; made a member of the National Academy for Cinematographic Arts and Science in 2002 and an officer of the Order of Arts and Letters of France in 2005. He graduated from the Central Music School in 1952 and from the music college of the Moscow Conservatory in 1957. From 1957 to1959 he studied piano at the Moscow Conservatory. He completed his cinema studies in 1965 and graduated in directing from the All Russian State Institute of Cinematography, where he’d studied under Mikhail Romm. During his studies he had minor roles in a couple of films: “The Trial of Madmen” (1961), “Ivan’s Childhood” (1962) and “I Am Twenty” (1964). He also co-wrote the screenplay for “Ivan’s Childhood” with Andrei Tarkovsky (they would later work together on the screenplay for the film “The Passion According to Andrei” (1966), also known as “Andrei Rublev”), and made the short film “The Boy and The Pigeon”, which received the newcomers award at the Venice Film Festival for Kids and Young People in 1962. In 1965, inspired by the work of Akira Kurosawa, the director made “The First Teacher” and then “The Story of Asya Klyachina” (1966), a film that was only shown in wide release in 1988. The main characters of the film returned in 1994 for his sequel “Ryaba, My Chicken”. In 1969 the director decided to turn to classics, starting with Ivan Turgenev’s “Nest of the Gentry”. This was followed by “Uncle Vanya” (1970), in which the role of Astrov was played by Sergei Bondarchuk and Voinitsky by Innokentiy Smoktunovsky. In 1971 the film was awarded the Silver Shell at the San Sebastian Film Festival. Watched by 40 million spectators, his film “A Lover’s Romance”, released in 1974, was a huge success and received the Grand Prix at the Karlovy Vary Film Festival. His epic film “Siberiade”, portraying almost an entire century of life in Russia, was awarded the Special Jury Prize at the 1979 Cannes Festival. In 1980, having been granted the title of People’s Artist of the Russian Soviet Federative Socialist Republic, Konchalovsky decided to head West, to work in Hollywood. It was there, in fact, that he made films that have become classics, renowned across the globe: “Maria’s Lovers” (1985), “Runaway Train” (1985), “Homer and Eddie” (1990), and the American blockbuster “Tango & Cash” (1989), starring Sylvester Stallone and Kurt Russell. During his time in America he also made “Duet for One” (1986) and “Shy People” (1987). Since returning to Russia, the director has accomplished a great deal. He has made such films as “The Inner Circle” (1991), about life in Stalin’s Soviet Union seen through the eyes of an ordinary citizen, one of the leader’s projectionists; and “Ryaba, My Chicken”(1994), a grotesque sequel about the fate of Asya Klyachina in post-Communist Russia. The 1997 TV-series “The Odyssey”, produced by Konchalovsky and starring Armand Assante, became the most expensive television series to date. It was shown on televisions across the globe and given an Emmy award. In 1997 actress Gina Lollobrigida presented Andrei Konchalovsky with the award for Outstanding Contribution to Cinema at the Moscow Film Festival. At the 59th Venice International Film Festival, 2002, Konchalovsky’s film “House of Fools”, a story about the patients of a psychiatric institution near the Chechen border during the first war in Chechnya, was awarded the Grand Special Jury Prize. In 2003, in the UK, Konchalovsky made a film version of American playwright James Goldman’s “The Lion in Winter” for Hallmark Entertainment. In 2007, he released “Gloss”, and in 2010 “The Nutcracker in 3D”, a fantasy film with a $90 million budget and an outstanding cast and crew: Moritz Borman (“Terminator”) as executive producer and Sir Tim Rice (“The Lion King”, “Jesus Christ Superstar”), as the author of the libretto, and starring Elle Fanning, John Turturro, Nathan Lane and Frances de la Tour (“Harry Potter and the Goblet of Fire”). A film version of the fairy tale was a project that Konchalovsky had had in mind for 40 years. In 2008 Andrei Konchalovsky was awarded the Golden Star - the highest accolade of the International Film Festival of Marrakech - for his achievements in world cinema. Konchalovsky’s work as a co-producer comprises “The Last Station”, a film about the last days of the great Russian writer Lev Tolstoy, which received several Golden Globe awards and was nominated for an Oscar in 2009, and director Margy Kinmonth’s documentary “Royal Paintbox” (2012). However Konchalovsky’s work and success are not limited to the big screen. He has also been behind a number of highly acclaimed productions on stage: Chekhov’s “The Seagull” at the Odeon Theatre (Paris, 1987); Tchaikovsky’s operas “Yevgeni Onegin” (1985) and “The Queen of Spades” (1990) at La Scala and the Bastille in Paris; Prokofiev’s “War and Peace” (2000, 2002 and 2009) at the Mariinsky Theatre in St. Petersburg and at the Metropolitan Opera; Verdi’s “Un ballo in maschera” at the Parma Festival and at the Mariinsky Theatre; and the musical “Our Ancient Capital” on Red Square in 1997 to celebrate Moscow’s 850th anniversary. 6 years later he put on an equally impressive show on the balustrades of the restored Constantine Palace in St. Petersburg for the city’s 300th anniversary. Konchalovsky staged “The Seagull” at the Mossovet Theatre in 2004, “Miss Julie” at Malaya Bronnaya Theatre in 2005 and “King Lear” at the Teatr Na Woli (Warsaw) in 2006, with Daniel Olbrychski in the lead role. In December 2009, as part of the commemoration of the 150th anniversary of the birth of Chekhov, Konchalovsky’s production of “Uncle Vanya” premiered at the Mossovet Theatre. In 2013, to celebrate the director’s 75th birthday and his 50-year-long career, Konchalovsky staged “Three Sisters”. His productions of both Chekhov plays were critically acclaimed in Russia, and were widely watched in America, the Baltic countries, the UK, Italy and Israel. In June 2013, the director took part in the 6th Naples Theatre Festival where he staged one of Shakespeare’s most entertaining plays “The Taming of the Shrew”. The play, which was a great success, was performed in Italian and featured local actors. In recent years Andrei Konchalovsky has played a big part in the work of his wife, actress Julia Vysotskaya. Vysotskaya played the lead role in two of his films, “House of Fools” and “Gloss”, featured in “The Nutcracker in 3D” and has acted in many of the director’s theatre productions. 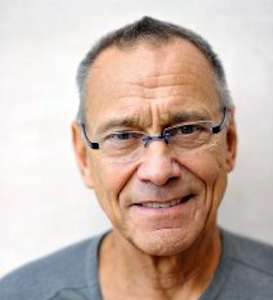 Andrey Konchalovsky writes blogs for popular online media, does political journalism and is the author of countless articles and books including “Parabola zamysla” (The Parabola of Concept, 1977), “Nizkie istiny” (Low Truths, 1998), “Vozvyshayushchiy obman” (Elevating Deception, 1999), “Belaya siren” (The White Lilac, 2001, co-written with Yuri Nagibin), “Nizkie istiny: 7 let spustya” (Low Truths: 7 Years Later, 2006), “Na tribune reaktsionera” (Reactionary on a Platform, 2007) anthology and “9 glav o kino i t.d.” (9 Chapters about Cinema and Other Things, 2013). Konchalovsky also works actively in television. In 2003 the director founded the Andrei Konchalovsky Production Center, which collaborates with Russia’s top TV channels, NTV, RTR, Kultura and Zvezda, to produce truly fascinating and memorable television programmes. Since 2003, Kultura has been broadcasting his “Genius” series of films on great Russian composers (Sergei Prokofiev, Sergei Rakhmaninov, Dmitri Shostakovich, Andrei Skryabin and Igor Stravinsky). In April 2006, his 12-part documentary series “Culture is Destiny” premiered on Kultura channel. Konchalovsky continues to work on his series of political documentaries “The Burden of Power”, which in 2004 featured a documentary about Yuri Andropov and in 2005 one about Heydar Aliyev. In 2012 he released “Bitva za Ukrainu” (Battle for Ukraine), a vast study of the Orange Revolution which took place in a country that found itself in the centre of a conflict of interests between Europe and Russia. To summarize Andrei Konchalovsky’s impressive career in numbers: 33 screenplays, 26 films, 8 acclaimed theatre productions including 5 operas and several large-scale shows, 6 books and more than a hundred opinion articles, and numerous prizes, accolades and titles.